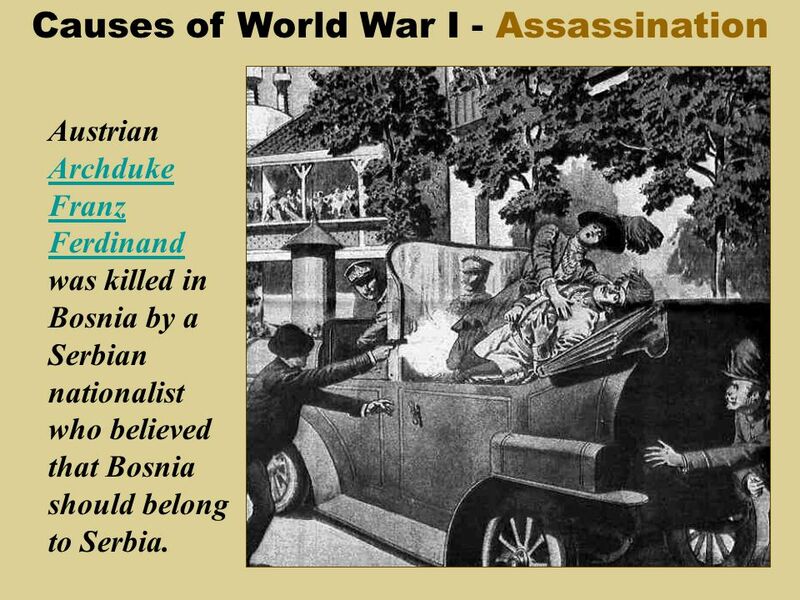 Immediate Cause: Assassination of Archduke Franz Ferdinand The immediate cause of World War I that made all the aforementioned items come into play (alliances, imperialism, militarism, nationalism) was the assassination of Archduke Franz Ferdinand of Austria-Hungary. World War I are a source of endless contention for historians. One of the biggest schools of thought in regards to the causes of World War I is exemplified by the writing of Fritz Fischer.